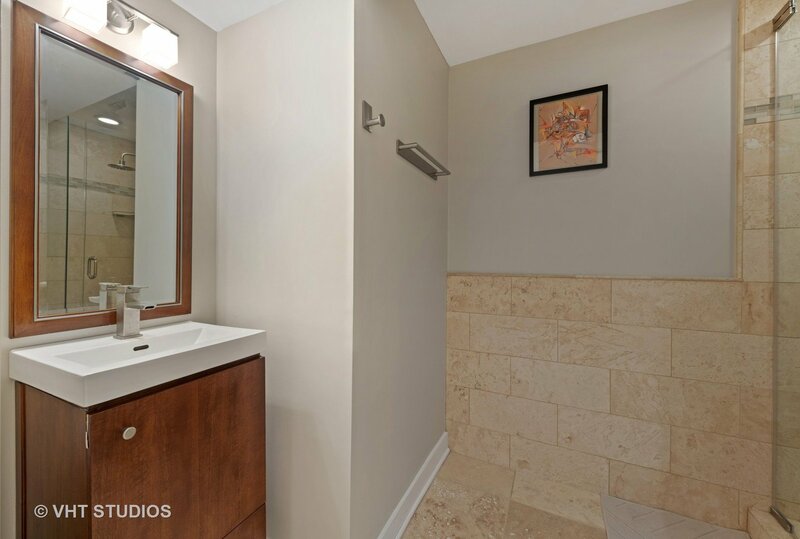 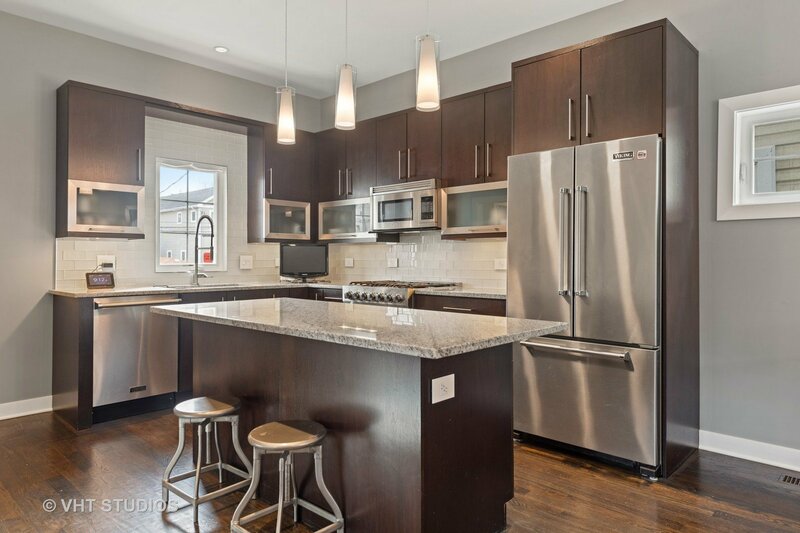 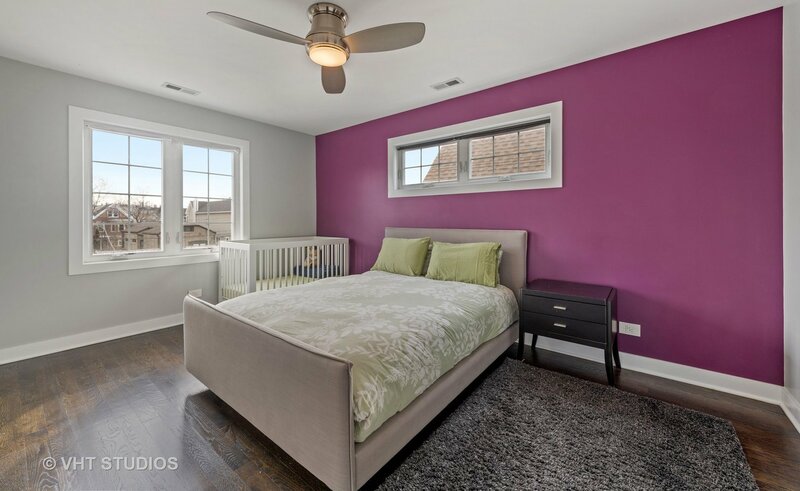 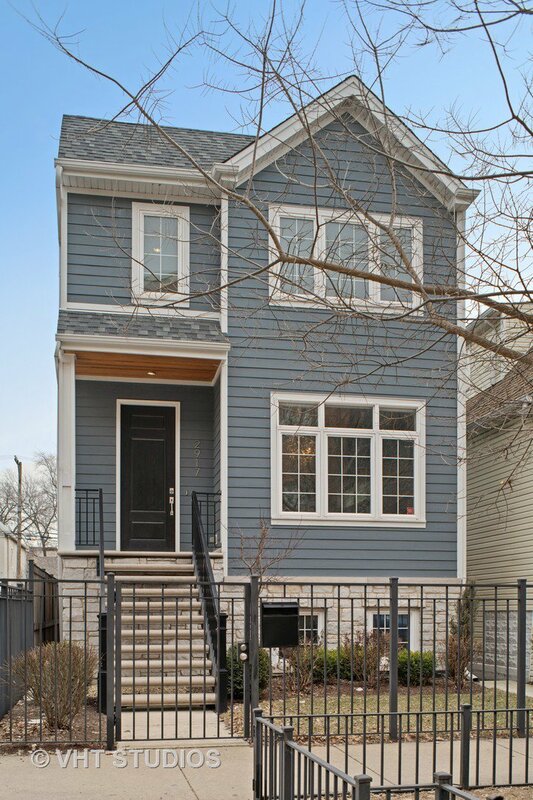 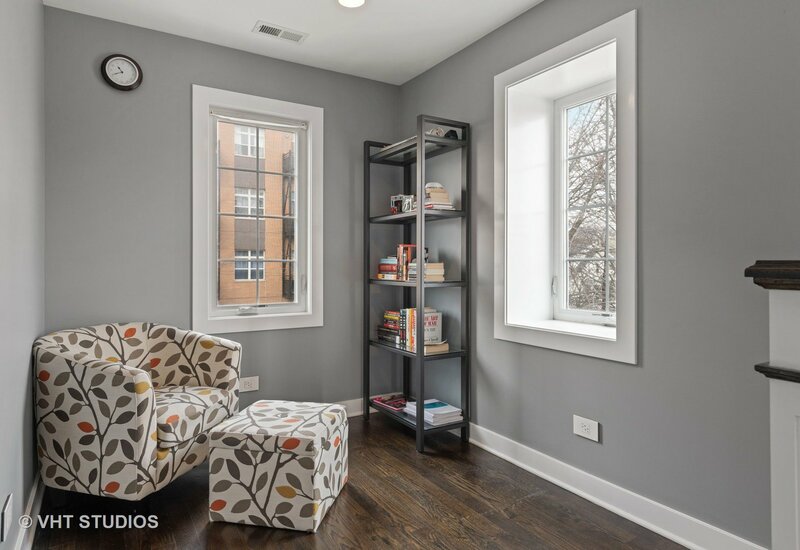 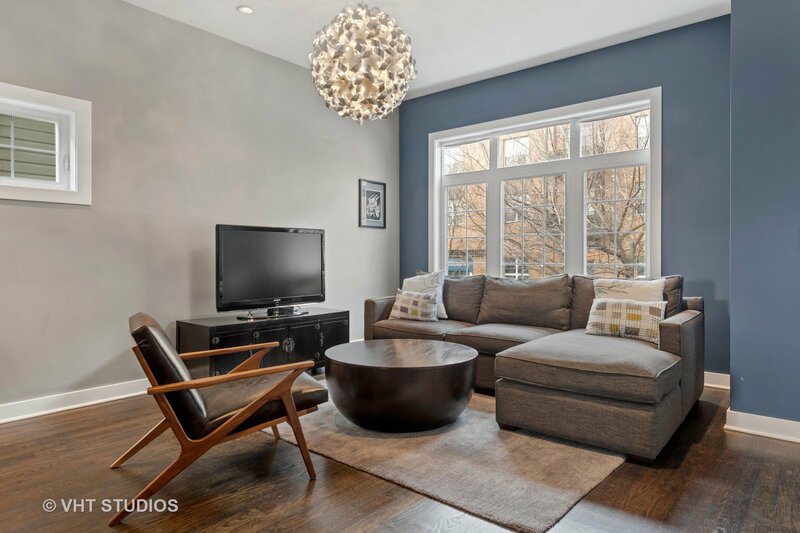 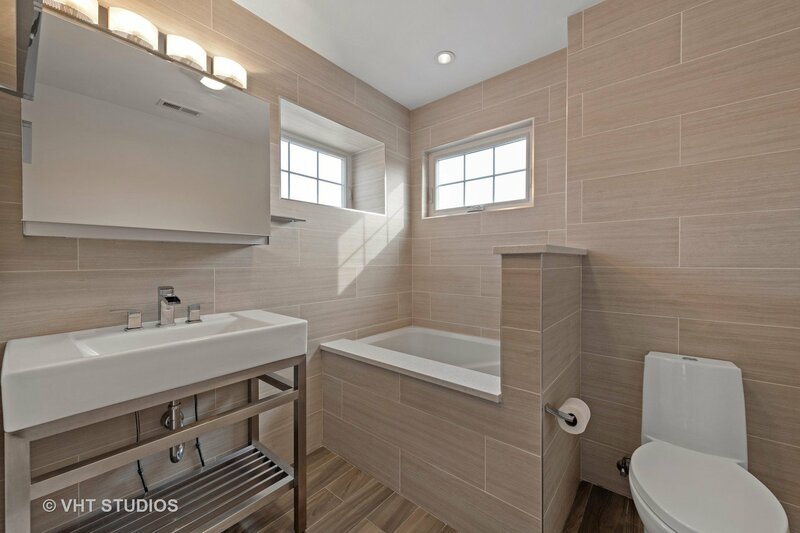 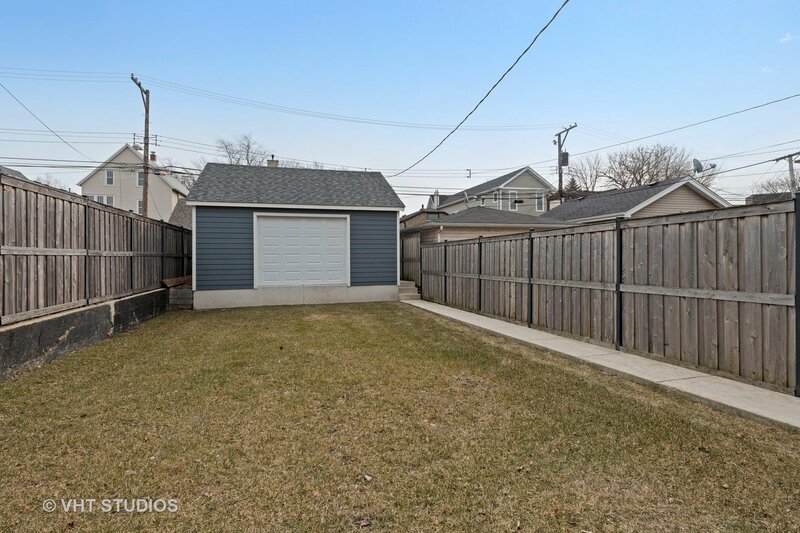 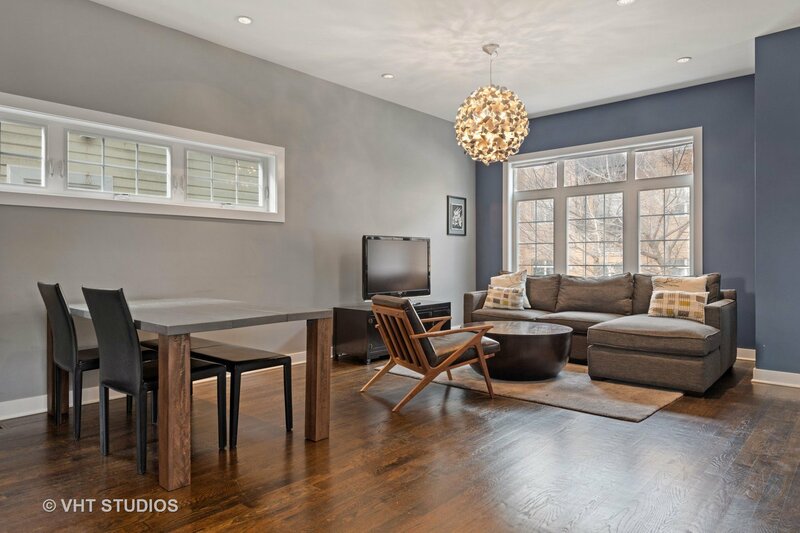 Beautifully renovated 2 bedroom + den, 2.1 bath Hardie-board and stone single family home Roscoe Village home with oversized 2 car garage, rear deck and fenced yard. 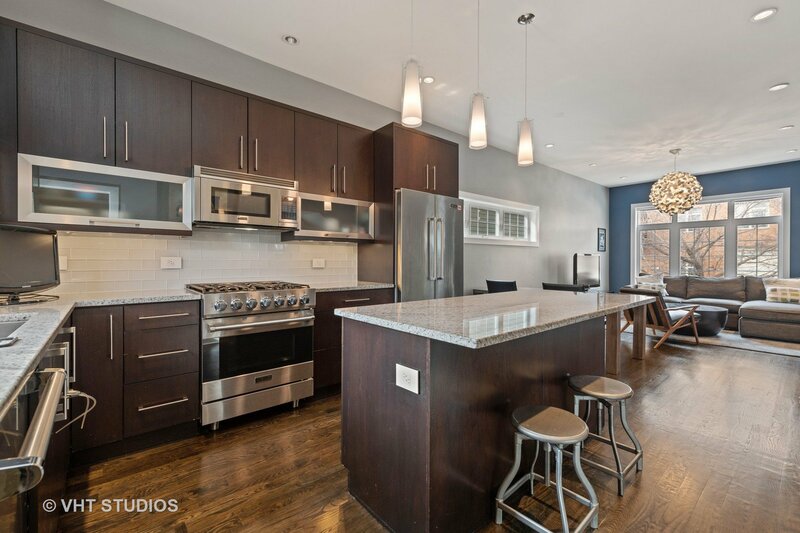 Open floorplan features spacious living/dining room overlooking tree-lined street, gorgeous kitchen with espresso cabinetry, granite counters, custom subway tile backsplash, Viking appliances and large island with breakfast bar. 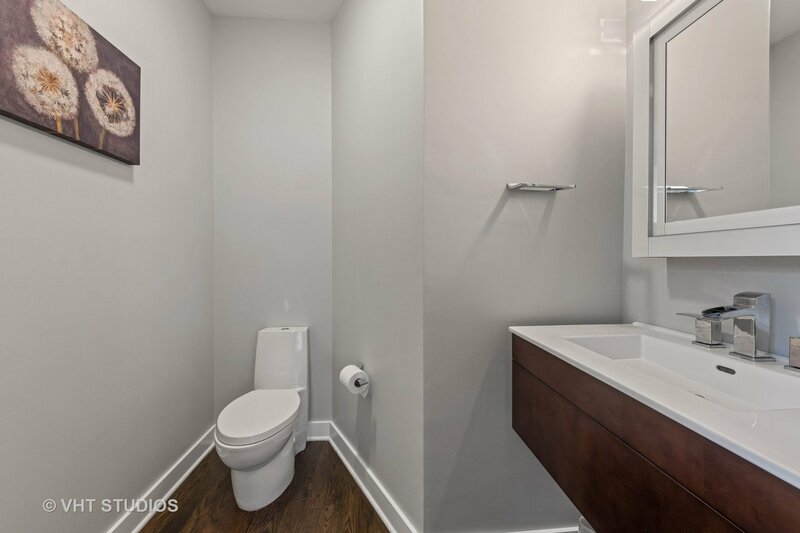 Powder room and large deck for entertaining complete the main floor. 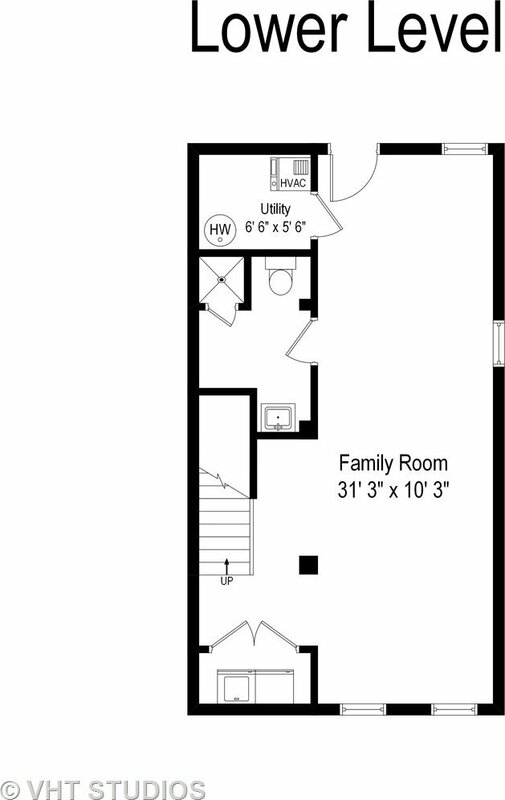 2 bedrooms up, including spacious master bedroom with walk-in closet and luxurious bath with soaking tub and separate rainfall shower. 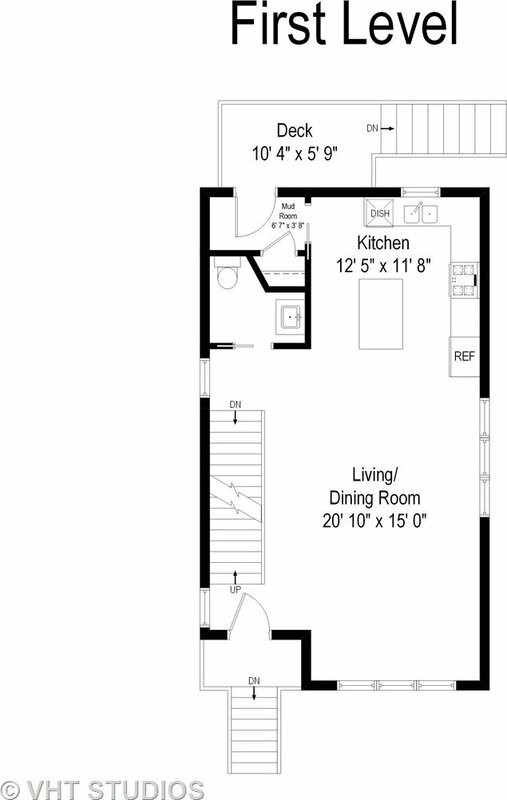 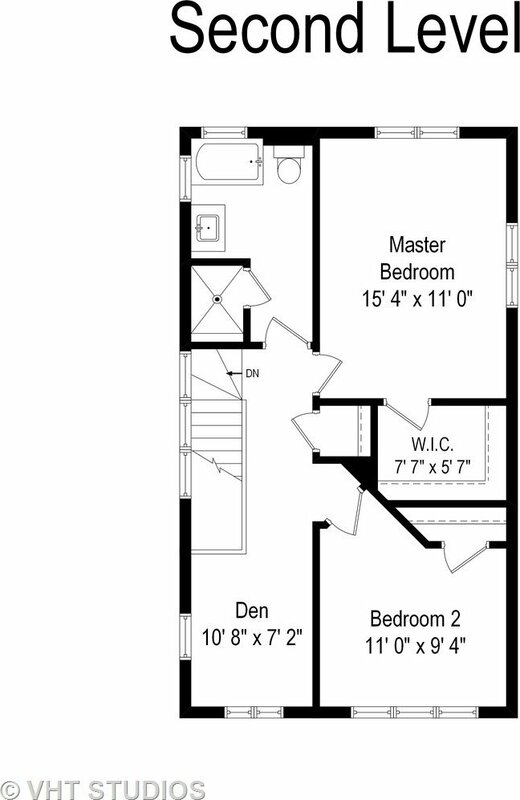 2nd floor continues w/large second bedroom plus additional den/office can easily be enclosed for 3rd bedroom. 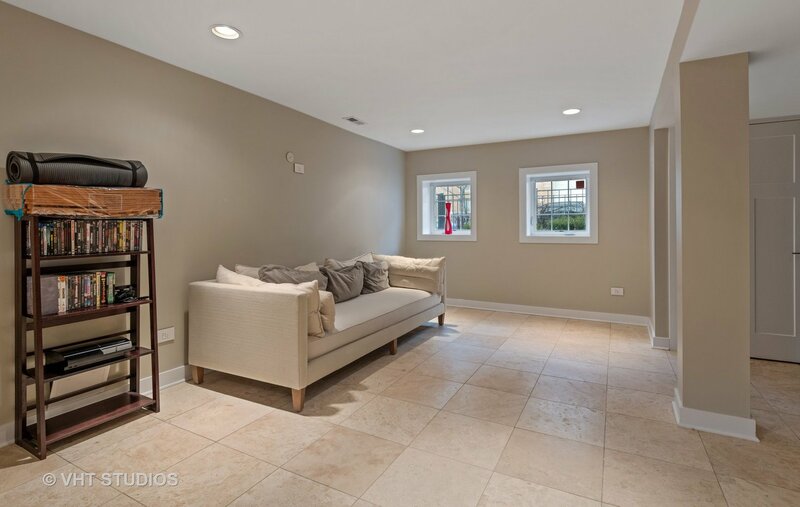 Enormous finished lower level with travertine floors has family room, full bath, laundry and utility room. 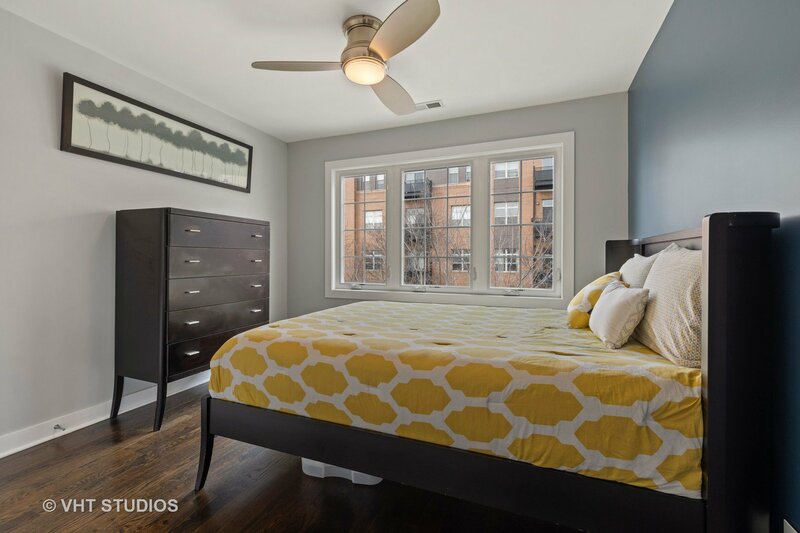 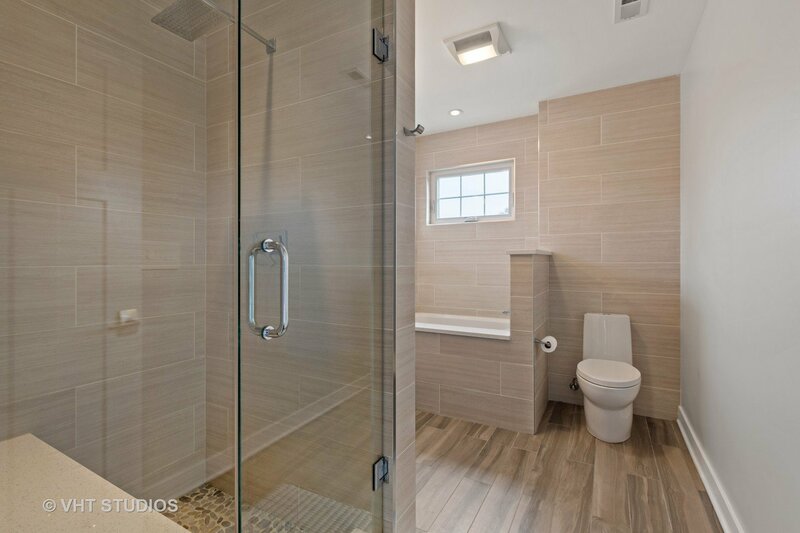 Additional features: hardwood floors throughout first and second levels, recessed lighting, and mud room. 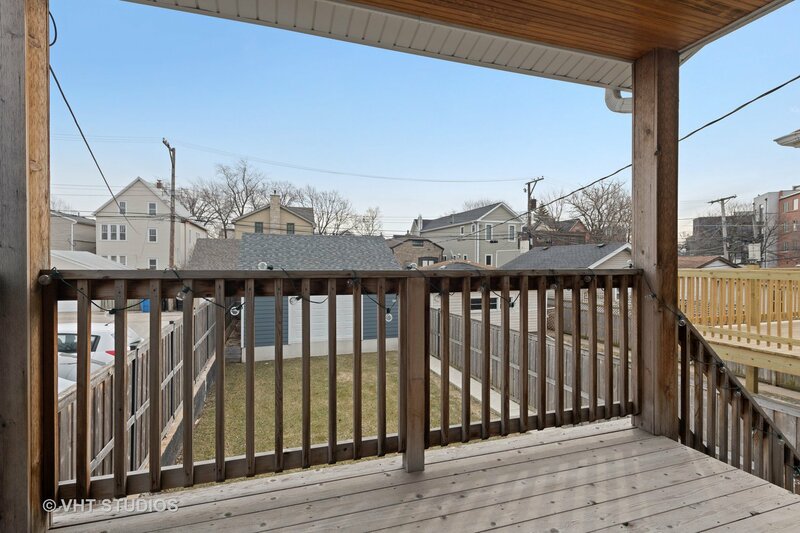 Fantastic Roscoe Village location near shops, restaurants and transportation.